Fire fighters standing by a High fire danger Smokey the Bear sign. 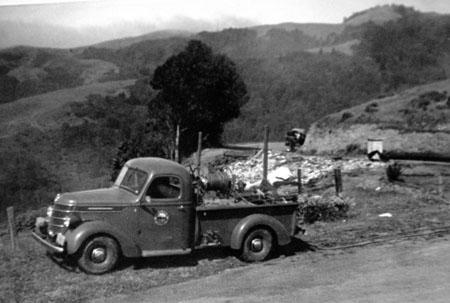 Due to unresolved taxation disputes, a new form of fire administration was necessary and so came to an end the Tamalpais Forest Fire District, May 21, 1917 – June 30, 1941 spawning the birth of the Marin County Fire Department. 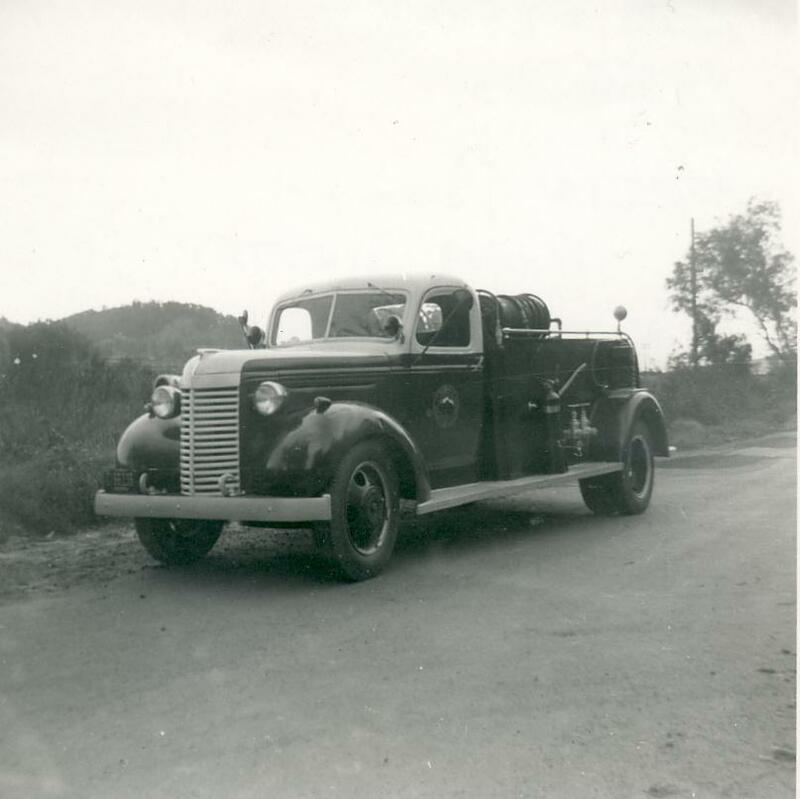 The Marin County Fire Department came into existence on July 1, 1941 with passage of an ordinance and two resolutions by the Board of Supervisors. The instrument set up the County district, provided for financing the change, took over all the equipment, and named the existing staff to handle the Department for the county. It would be established as a contract county fire department, that is, one of six counties in the state, in which the county elected to provide protection to areas normally, served by the State Forestry Agency. This allowed for some financial support from the state, but local control over the level of protection. District Headquarters, was established in Woodacre on the abandoned Northwestern Pacific Railroad right of way. Shop and housing facilities were eventually constructed on the site. 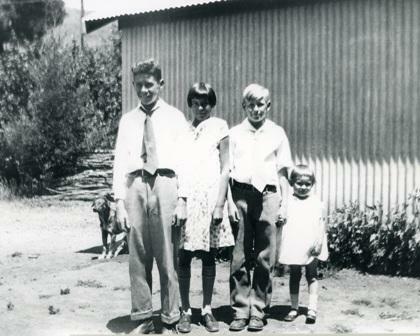 Not much change occurred until the late forties. 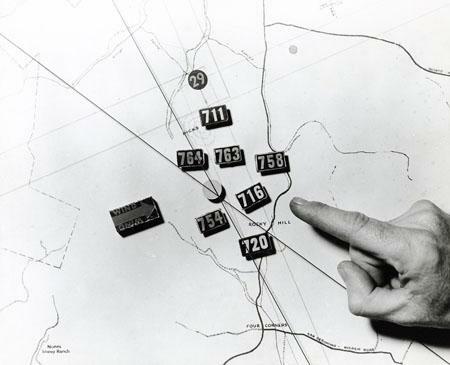 With Headquarters and Dispatch Center located in Woodacre (the only formal station), the department began a program to replace its one man stations with geographically located stations recommended by the State Division of Forestry. Prior to this, each firefighter had worked out of his home and kept the fire truck there while on duty. 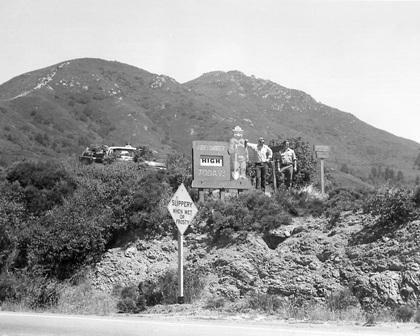 Department personnel constructed the first station in Point Reyes. Built by a private contractor in 1959, the next station was Throckmorton Ridge. This station was best situated to protect Mt. Tam. Stations were also built in Hicks Valley, Tomales, and Marin City. Eventually, all of the one-man stations were eliminated. The latter part of the forties also brought about new thinking concerning fire truck construction. No new equipment had been purchased since the Department was organized and some equipment was old and unreliable. One at a time, several one-half ton, two and four-wheel drive chassis were purchased and "built-up" at Woodacre. Larger, they allowed more water, hose, and equipment to be carried. They were fitted with innovative high-pressure pumps capable of delivering forty gallons of water per minute at pressures as high as 800-pounds per square inch. 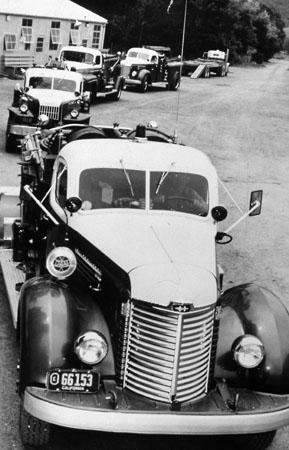 These were highly specialized vehicles designed specifically for wildland firefighting and were superior to anything that had yet been developed in Marin. A Caterpillar bulldozer and transport truck were purchased. This improved the ability of the department to combat large wildland fires. 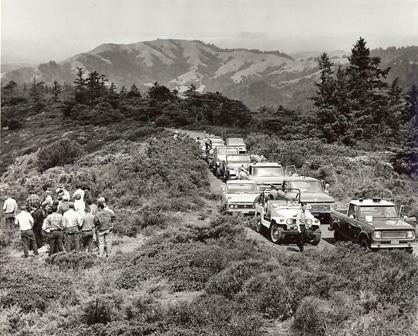 A road grader was also added to grade and maintain the growing network of nearly five-hundred miles of fire access roads on the Mountain and much of Marin’s ranchland. Many new roads were constructed that allowed access to areas previously inaccessible and served double duty as fuel breaks as well. On Mt. Tam, the Hoo-Koo-E-Koo, Rock Springs-Lagunitas, Laurel Dell, and Rocky Ridge fire roads all helped to open the area to fire vehicles and hikers. The ability to construct fire roads brought a change in the fuel break concept for protection on the Mountain. The roads, in most cases, allowed a rapid response to the area and the fires to be extinguished while still relatively small. Maintenance of fuel breaks was labor intensive, costly, caused erosion, and was regarded by many as unsightly. Increased capability to contain fires, while small, provided the justification to discontinue maintenance of most fuel breaks. Today only a few remain. 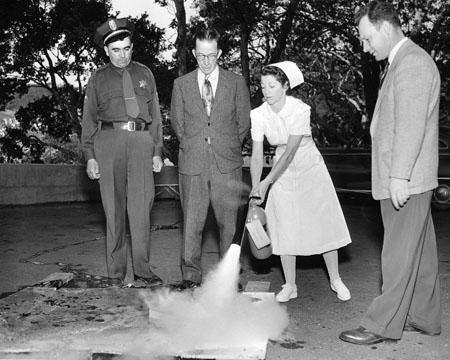 By 1960, there were forty firefighters employed by the department. Among them, were a cook, a mechanic, a welder (who constructed the fire vehicles), two dispatchers, two fire lookouts, and 33 line firefighters. Today, the Department has over eighty members. A new generation of firefighting vehicles is replacing the aging fleet of the fifties, and in use are air tankers capable of dropping hundreds of gallons of fire retardant on difficult fires. Firefighters routinely provide first aid and rescue services to injured hikers and victims of automobile accidents. A vigorous fire prevention campaign is maintained. What the future holds in terms of methods and thinking regarding wildfire on Mt. Tam is anyone’s guess. Whatever changes occur, most certainly they will be with the thought that man is more aware than ever of the beauty and value of the Great Mountain.